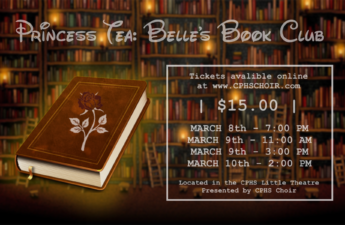 It’s a princess tea and YOU are invited! Put on your tiara and be a part of this fun and fancy-filled tea party for all princes and princesses. Enjoy treats while watching performances of your favorite characters in this interactive show! All are encouraged to dress up as their favorite prince or princess! Tickets are $15 and available to purchase in our online store! Tuesday, January 15th, 2019 Click here to view our TMEA Parent Preparation Slideshow. If you would like to purchase a banquet ticket ($40), please visit our STORE by clicking the navigation tiles above.